Green Giants: Jade in B.C. Jade is China’s national stone and seen as a bridge between Heaven and Earth. It’s the must-wear gem of the rising Chinese middle class. All of which makes some miners in northern B.C. – home to more high-quality jade than anywhere else on earth – very, very happy. What the merchants were doing – passing B.C. jade off as native Chinese jade – may not have been ethical, but they were inadvertently paying tribute to the excellence of a little-known homegrown product. In its quality and look, our B.C. stone passes for real Hotan jade – “the Stone of Heaven,” as the Chinese call it, which draws buyers to this Chinese market in droves. The “Hotan” jade bracelets (selling for three or four times the price they’d fetch in North America) are carved from B.C. jade because the Chinese have virtually exhausted their own supply. Canny entrepreneur that he is, Makepeace said nothing about the deception; the people buying and selling the jade are, after all, at the extreme end of his marketing chain. For all he cares, the Hotan merchants can make any claim they want about the provenance of the stone they are selling. They are contributing, in their own way, to a promising Canadian niche industry. Myanmar jadeite is a $500-million-a-year business – 50 times bigger than the Canadian nephrite industry – but Makepeace says nephrite is poised to make a strong comeback because of its history and an ever-expanding Chinese middle class. Only the wealthiest Chinese can afford top-grade Myanmar jadeite: a natural-green bead necklace can sell for as much as $10 million. Nephrite, however, has comparable beauty and is much less expensive: a bangle sells in China for a few thousand dollars. “Jade is now becoming affordable for the very first time in the long history of China,” he says. Even though he knows only a few words of Mandarin, Makepeace has a distinct profile in China. He’s a big, genial man more at ease in rough outdoor gear than a business suit, and his company mines more nephrite jade than any other (or any country, for that matter). While a commerce student at UBC in the 1970s, Makepeace took a summer job as a diamond driller and found his calling. Today he is CEO of the Jade West Group, a company with three mining sites in a 150-kilometre stretch of wilderness in northwestern B.C. The region boasts the richest known concentration of nephrite in the world, surpassing anything found in Australia, New Zealand, Russia, China or the half-dozen other countries with deposits. Jade West extracts about 200 tonnes of nephrite jade every year out of the mountains near Dease Lake and Smithers. That may not seem like much, but it’s nearly three-quarters of the world production and, in dollar value, roughly half the world market. (His closest competitor is Cassiar Jade Contracting Ltd., based in Watson Lake, Yukon, which extracts less than 40 tonnes annually.) 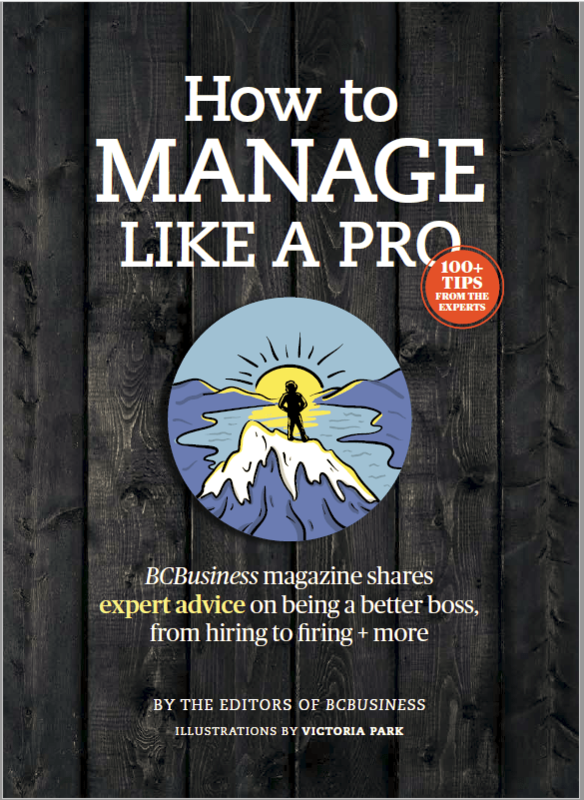 Ninety per cent of the B.C. production goes directly to China in bulk form, arriving in containers in Hong Kong, mainland China or Taiwan, never to be identified by its place of origin again. 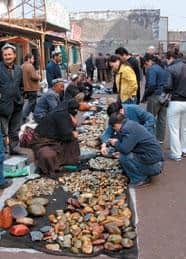 Without a nationality, burnished by an Oriental mystique that requires little or no marketing, most of the nephrite finds its way into the hands of more than 100,000 Chinese carvers and then to markets throughout Asia – including the jewelry counters that Makepeace stumbled upon in Hotan. Jade touches a deep vein in Chinese culture and belief, rooted in 5,000 years of history. “Jade,” says UBC archaeologist Zichuan Jing, “is associated with a certain type of power, individual power. Not only physical power but spiritual power. Sometimes we say jade has been treated as a bridge to immortality in the Chinese society.” It was the gemstone of royalty, with Chinese emperors supposedly speaking to the gods through holes in disks of jade. “One can put a price on gold,” goes a Chinese saying, “but jade is priceless.” Still, within B.C.’s $6-billion mining and exploration industry, the stone occupies such a tiny place that mining people scratch their heads and shrug when you mention it. Mention jade to the B.C. Mining Association and you draw a blank. That’s no surprise. After all, it generates barely $10 million in annual revenue, it has few if any industrial uses, it’s not a status benchmark like gold or diamonds in the West and known deposits of high-quality nephrite are scarce. It’s only the Chinese obsession with it, and the staggering growth of Chinese consumerism, that makes it worthy of attention. Because of an accident of geology, we have an almost limitless quantity of China’s national stone – though getting that stone out of the ground is another matter. Diamond may be the world’s hardest mineral, but jade, thanks to its unique interlocking fibre structure, is the toughest. “Hit a diamond with a hammer,” says Makepeace, “and you end up with a lot of little diamonds. Hit nephrite jade with a hammer, and the hammer will bounce back and hit you on the head.” This toughness makes it expensive to mine: about $8,000 to $10,000 a tonne. Dynamite would damage the precious stone, so it must be painstakingly carved out of the mountains, the boulders cut with diamond-studded wire and diamond-studded saws. The jade boulders are then transported 100 kilometres over rough terrain in massive trucks to the nearest highway and then on to the village of Dease Lake. The mining season lasts only three months in summer; the rest of the year it’s either too cold or too snowed in to extract and transport the stone easily. 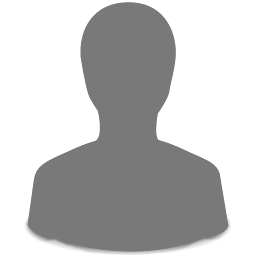 All-weather mining would increase the cost exponentially. About a fifth of the extracted nephrite jade is clear and pure enough for the high-grade jewelry that Chinese buyers are looking for. Once a year, usually in October, the Chinese buyers flock to the Jade West lot in Surrey to haggle over the best pieces. Recently, I visited the lot and met Jerry Liu, a buyer from Shenyang, and his brother/translator Nathan. Jerry was struck by the sheer quantity of the green stone scattered around the yard. “It’s beyond the Chinese imagination to have jade of such quality and in such unlimited supply,” he said, shaking his head. “It’s like a small mountain of jade. If we had such a supply in China, we would use up every bit of the stone. Here you have so much that you can take out the best part and throw away the rest.” (The Chinese believe, mistakenly, that we have so much nephrite that we can afford to waste it.) Makepeace walked alongside, spraying the jade boulders with jets of water to bring out the brightness. “There’s a Chinese expression: it’s not jade until it’s polished,” he said. He held a small flashlight against the stone, to demonstrate its translucency. Jerry and Nathan were clearly impressed, but they kept their enthusiasm in check because the negotiating was about to begin. While jewelry is the marquee use of nephrite jade (the high-grade stuff goes for up to $100,000 a tonne, once passed through various middlemen and slapped with import duties), lower-quality jade has a host of other uses – though none quite as profitable. Large blocks of nephrite are carved into supremely detailed jade sculptures for collectors. One of the most stunning examples, called Emperor’s Sunrise, was carved out of a near-flawless five-tonne Jade West boulder by B.C. sculptor George Pratt. It was on display at the B.C. Canada Pavilion during the 2008 Beijing Olympics. 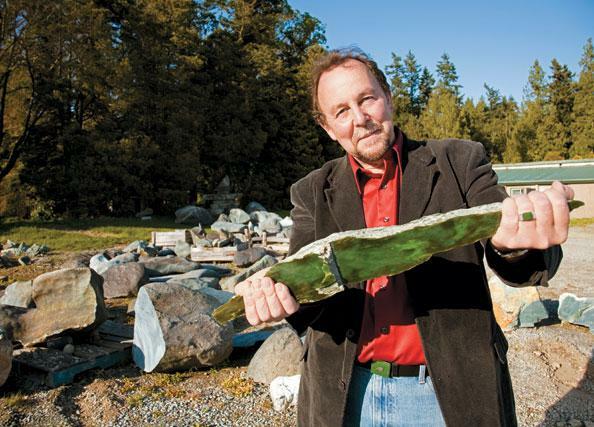 The largest piece of nephrite jade ever found, a 152-tonne boulder nicknamed Big Papa, is from B.C. ; it was valued at more than $1 million and was broken up for ornamental carvings in China. Dealers also grind jade into fine powder and use it as an ingredient in Chinese medicines promising physical harmony and longevity. (Whether it does anything of value is dubious.) And jade is also made into the most expensive building tile on the market, with one-inch-thick tiles, thought to be almost unbreakable, selling for as much as $200 a square foot. The Chinese and Koreans even carve nephrite into beds and pillows that are meant to promote good health. ON THIS SIDE OF THE PACIFIC, jade has an esoteric history. Carved out by glaciers and found naturally along riverbeds, it was used for centuries by First Nations as a sturdy stone for axes, knives and other tools. Jade tools dating back 4,000 years have been found at Salish sites in B.C.’s Cariboo region. But it wasn’t until Chinese labourers came to Canada in large numbers in the early 1800s that the nephrite found its market as an ornamental item. Railway workers picked up chunks of the green stone along the Fraser River, marvelled at its quality and shipped it back to China in the coffins of dead labourers. Other mining experts aren’t so sure that the Chinese zeal for nephrite will persist as the Olympic connection fades. And they’re not as sanguine about the Chinese economy rebounding any time soon. Still, Gavin Dirom, president and CEO of the Association for Mineral Exploration B.C., says that jade mining – while having a “very, very small footprint” in the province’s mining economy – is less sensitive to the market fluctuations that affect other commodities. Makepeace, while confident about future prospects, allows that B.C.’s nephrite industry needs some serious investment if it is to meet its potential. Jade West only has a handful of employees, and Makepeace contracts out his extraction work. Unlocking thousands of tonnes of nephrite from the mountainous wilderness will require heavy equipment, manpower and infrastructure. The first thing that’s needed is a good access road to the mines.